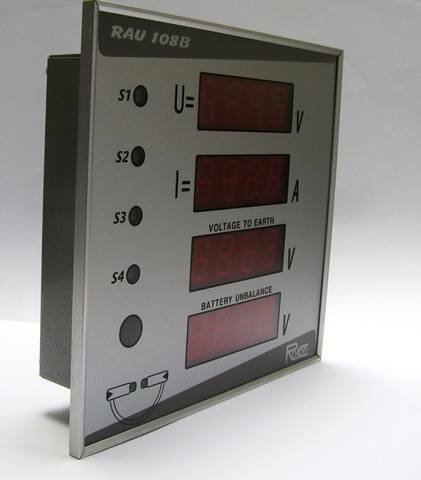 The purpose of the device is to monitor the parameters of the substation’s battery and issue an alarm output contact and LED indication in case of fault. 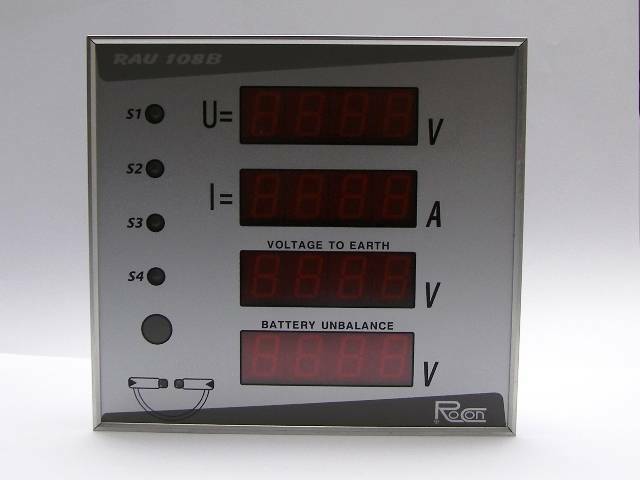 The monitored values are as follows: the battery’s voltage, the current through the battery, voltage to the earth, battery unbalance. 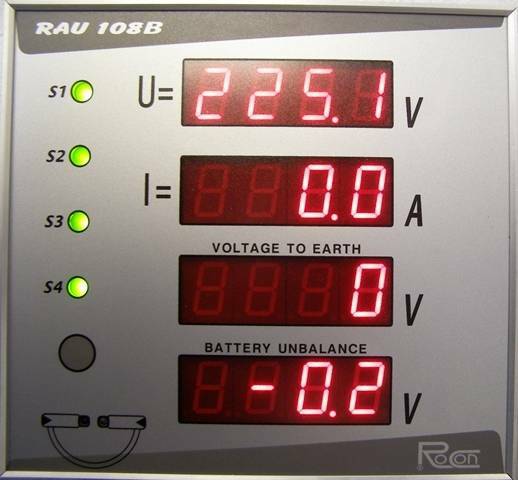 The user could define a limit for each measured value. 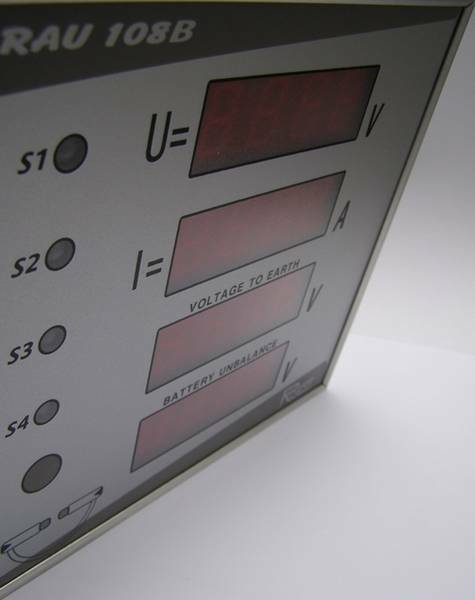 The device registers any case of exceeding these limits. 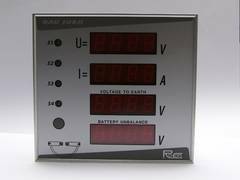 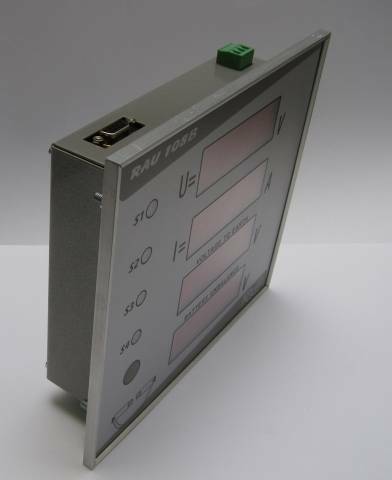 RAU 108B signals by means of its LED indicator and binary output in case of fault. 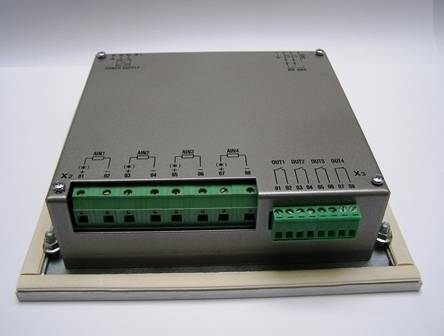 Additionally, the device could generate an alarm message via the respective communication protocol if it is connected to the SCADA-system.